Richard Daniel sent photos of his recent plant cuttings–Brugsmania, Jacobina, and Plumbago, oh my! I vote Richard start a nursery! 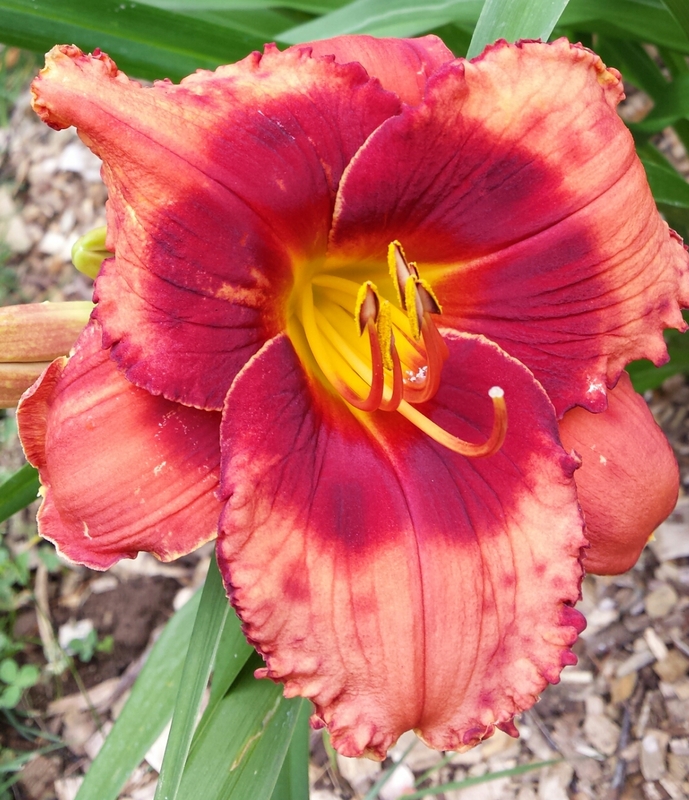 Here is a seedling that bloomed for the first time a few days ago at my house. I just love the reverse bicolor peach/pink/red combo! Below is ‘Orange City’. This is my first year seeing it bloom–second bloom–and it was doing a cool splotchy thing.